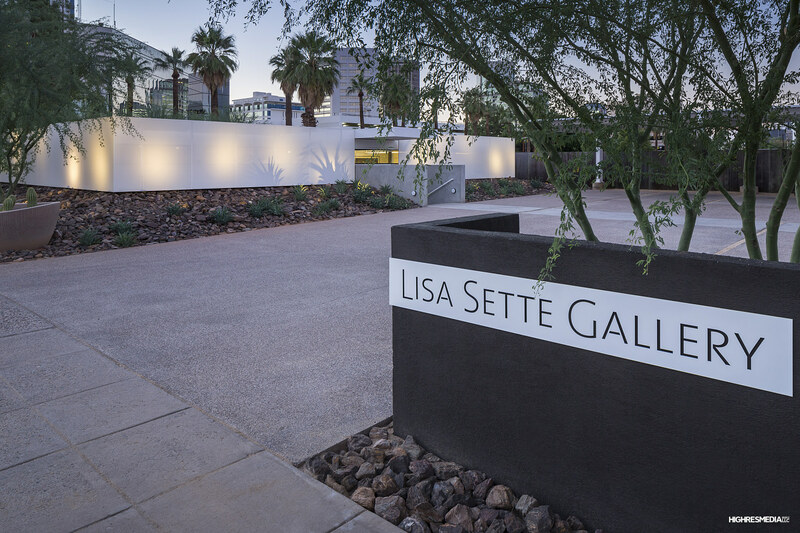 This past summer marked the relocation of Lisa Sette's Gallery from Scottsdale to the Midtown area of Phoenix. In the Fall 2014 issue of Defining Desert Living, writer Megan Bates was there for their grand opening in the renovated Al Beadle building. 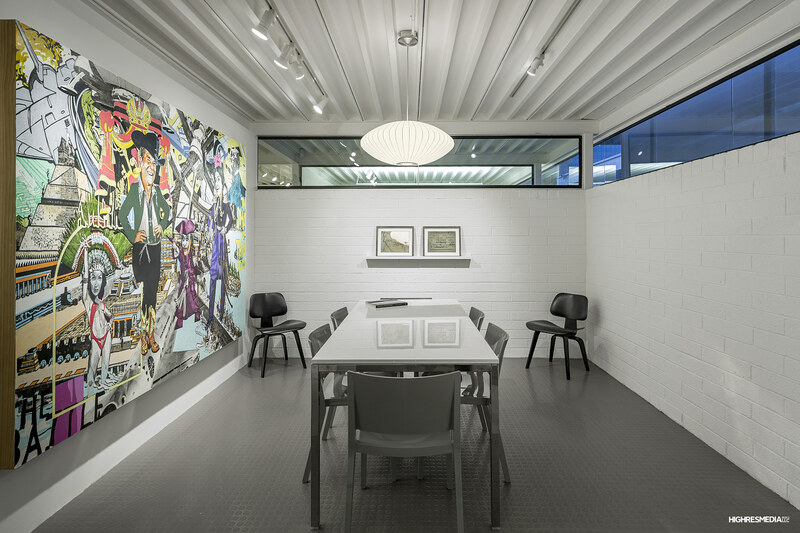 In advance of the summer solstice, the June 14 opening of Lisa Sette Gallery’s new location in Midtown Phoenix celebrated the desert metropolis as a singularly beautiful and culturally fertile civilization heading toward an urban renaissance. Sette opened the doors to her newly renovated space on Catalina Drive to a robust turnout in the local art scene’s dry season. The event was a sort of Midsummer baptism despite the heat. 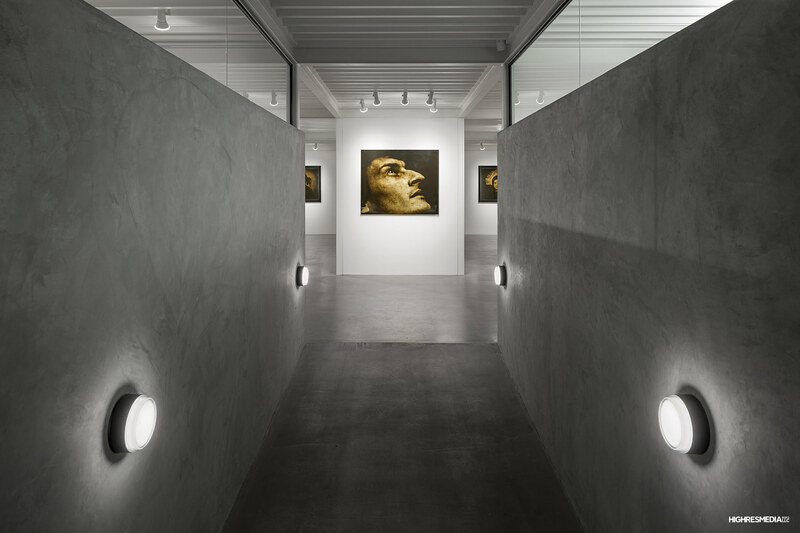 Guests not only lined up as devotees of the gallery, but to catch a glimpse of the renovated 1979 Al Beadle structure, which once again emerged taut and square from the rocky earth like a Modernist gem. A block and a half from the gallery, the five-year-old METRO light rail line still alters the cultural topography to Phoenix’s central corridor and satellite cities. Meanwhile, mid-century-era, single-family homes and newer urban lofts push up against the commercial and corporate, creating ideal conditions for an integrated urban community. Lastly, integrated mercantile spaces, business ventures and startups, including P.S. Studios, founded by Sette’s husband Peter Shikany, are finding a home in midtown. 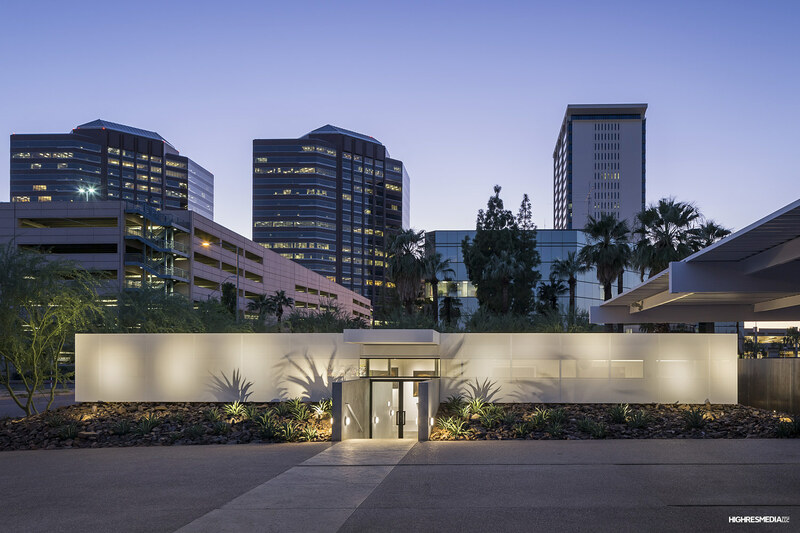 The entrance of the low-lying Beadle structure announces midtown as a true urban center that challenges the way of life in the desert metropolis, presenting its sophisticated design history and inherently radical aesthetic. Grounded in the moral framework of Bauhaus and the minimalism of Mies van der Rohe, Beadle’s midcentury designs created an aesthetic template with his designs, as he generated nearly two hundred structures across the Valley for humans flourishing in the harsh desert. Primarily below ground, yet conveying a distinct, stylized profile against the earth from which it rises, the building epitomizes this productive connection between the nature and culture. Sette collaborated with StarkJames architecture, to revive the office building with a series of careful renovations, including an opened interior that preserves Beadle’s original steel-beam ceiling. 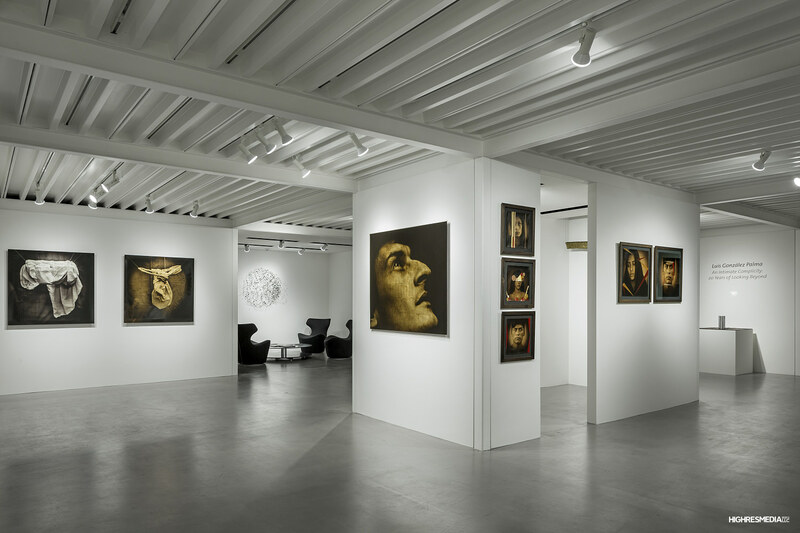 In its expansion and move to the Beadle building on Catalina Drive, the gallery follows a complex, contemporary trajectory toward the transcendent and the supremely centered, geographically defined and aesthetically advanced.